There are so many hobbies for me to be involved with right now that some days it’s hard to choose what I should plan for the day. Except for Thursday and Fridays of course, because those are my “Camp Grandma” days right now. More on that later. I love to garden, and plant flowers, and I especially love container gardening. In order to keep my budget in check I really have to pay attention to what I am spending on plants and flowers. So to help with my budgeting I like to frequent the 50% off plant racks at my local Lowe’s. They usually have one rack with indoor plants, and one outside with the outdoor varieties. And the plants are almost always 50% off or more. I find that whenever I go to Lowe’s to get something for the house I must check the 50% off racks in case there is some poor plant that needs to be nursed back to greenery health. I adopt them and bring them home with me to take care of them. This is my “Adopt a Plant” program. Coined by myself, and I get great support from Travel Man on this project. That’s probably because I’m not adopting cats or dogs. My plant program is a simple one. Just check those 50% racks and see if there is a plant crying out for your help. Then of course you have to buy it (or as I like to say “adopt it”), and bring it home with you. This is my find from my shopping trip yesterday. 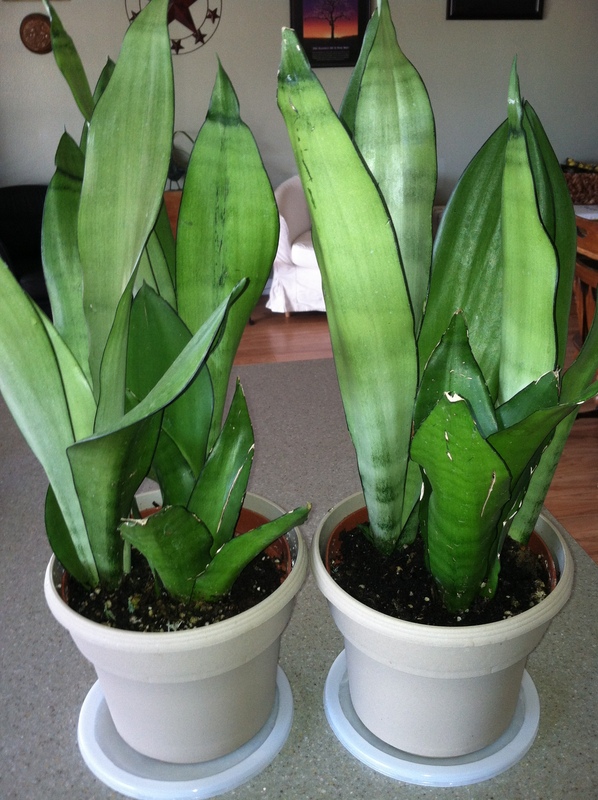 Two beautiful mother-in-law tongue plants, in the pots, and ready to come home with me. Originally twenty dollars for both of them and I paid ten. That price fits my budget. On your next stop to your favorite home improvement store check out the nursery, see if they have any plants on clearance, and see if there’s anything you want to bring home with you. I’m keeping an eye on the outdoor rack at Lowe’s for hedges and such to add to my front yard landscaping. Happy adopting everyone, and I hope you’re having a great week. Thanks Mom- it’s a fun way to get some extra greenery!